I'd love to be able to say that I've had a wonderful sunny break in the Bay of Islands with my family, but mostly it looked a bit like this. 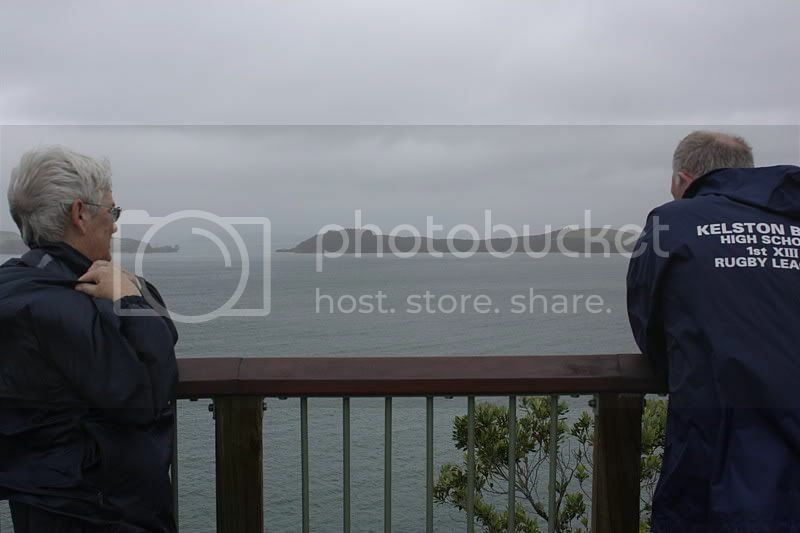 Mum and Dad on the lookout over Opito Bay. In other news, I seem to have survived 2011, which is about the only good thing I can say for that year, apart from the fact that it's motivated me to make some changes in the coming few months. Happy New Year everyone, may it be in all ways better than the last. I've missed you guys too, but really, really needed a break. Welcome back to LJ-land, and happy 2012. Happy New Year, and may it indeed be in all ways better.